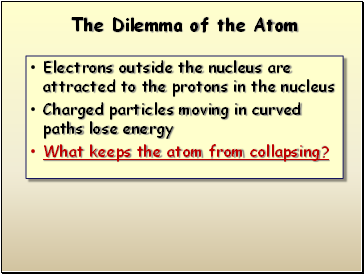 What keeps the atom from collapsing? 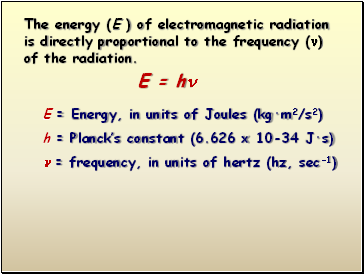 JJ Thomson won the Nobel prize for describing the electron as a particle. 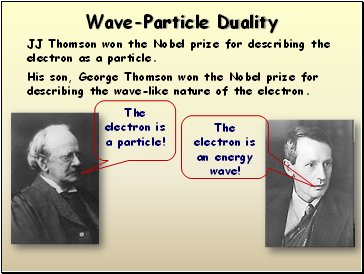 His son, George Thomson won the Nobel prize for describing the wave-like nature of the electron. 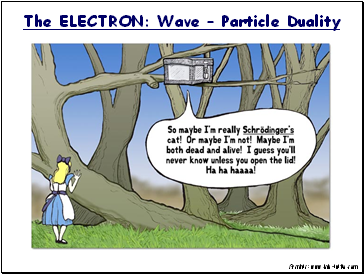 The electron is a particle! 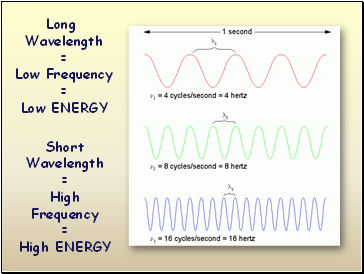 The electron is an energy wave! 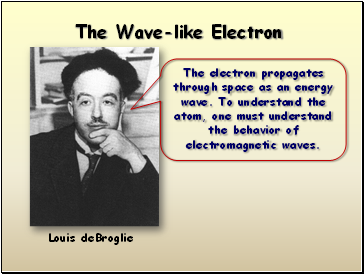 The electron propagates through space as an energy wave. 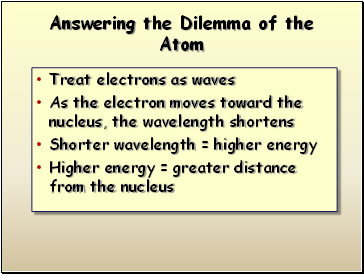 To understand the atom, one must understand the behavior of electromagnetic waves. 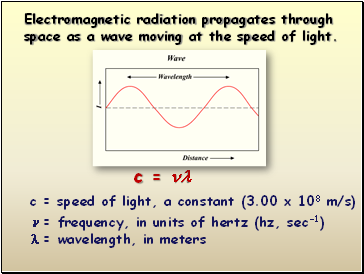 Electromagnetic radiation propagates through space as a wave moving at the speed of light. 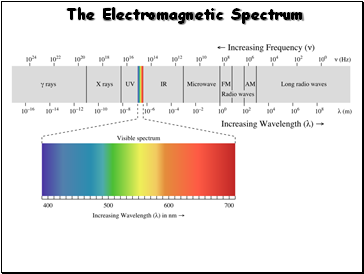 The energy (E ) of electromagnetic radiation is directly proportional to the frequency () of the radiation. 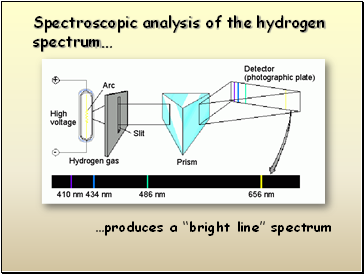 of light with definite wavelengths. 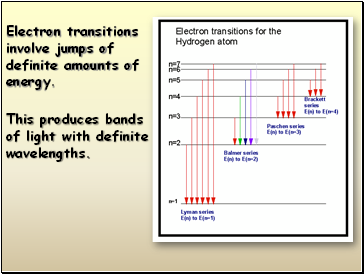 Electron transitions involve jumps of definite amounts of energy.